The biggest hits on Broadway are headed to Boston as part of the just-announced Lexus Broadway in Boston 2016-2017 season! Broadway blockbusters Something Rotten!, Finding Neverland and The King and I will be part of the upcoming season. The lineup will also include Cabaret, Jersey Boys, The Curious Incident of the Dog in the Night-Time, The Illusionists and Wicked. “Too good to be true!” raves the New York Post for Jersey Boys, the 2006 Tony, Grammy and Olivier Award-winning Best Musical about Rock and Roll Hall of Famers The Four Seasons: Frankie Valli, Bob Gaudio, Tommy DeVito and Nick Massi. This is the true story of how four blue-collar kids became one of the greatest successes in pop music history. They wrote their own songs, invented their own sounds and sold 175 million records worldwide—all before they were 30! Jersey Boys features their hit songs “Sherry,” “Big Girls Don’t Cry,” “Rag Doll,” “Oh What a Night” and “Can’t Take My Eyes Off You.” The Jersey Boys creative team comprises two-time Tony Award-winning director Des McAnuff, book writers Marshall Brickman and Rick Elice, composer Bob Gaudio, lyricist Bob Crewe and choreography by Sergio Trujillo. Something Rotten! is “Broadway’s big, fat hit!” (New York Post). Set in 1595, this hilarious smash tells the story of Nick and Nigel Bottom, two brothers who are desperate to write a hit play. When a local soothsayer foretells that the future of theatre involves singing, dancing and acting at the same time, Nick and Nigel set out to write the world’s very first musical! With its heart on its ruffled sleeve and sequins in its soul, Something Rotten! is “The Producers + The Book of Mormon x The Drowsy Chaperone. Squared!” (New York Magazine). As part of their 50th Anniversary Season, the critically acclaimed and award-winning Roundabout Theatre Company is proud to present Sam Mendes (Skyfall, American Beauty) and Rob Marshall’s (Into the Woods, Chicago) Tony Award-winning production of Cabaret. Come hear some of the most memorable songs in theatre history, including “Cabaret,” “Willkommen” and “Maybe This Time.” Leave your troubles outside—life is beautiful at Cabaret, John Kander, Fred Ebb and Joe Materoff’s Tony-winning musical about following your heart while the world loses its way. Hailed as "one of the most fully immersive works ever to wallop Broadway" by The New York Times, this "dazzling" (Associated Press) adaptation is the Tony Award-winning new play by Simon Stephens, adapted from Mark Haddon’s best-selling novel and directed by Tony Award winner Marianne Elliott. Fifteen-year-old Christopher has an extraordinary brain; he is exceptionally intelligent but ill- equipped to interpret everyday life. When he falls under suspicion for killing his neighbor’s dog, he sets out to identify the true culprit, which leads to an earth-shattering discovery and a journey that will change his life forever. Full of hilarious magic tricks, death-defying stunts and acts of breathtaking wonder, The Illusionists – Live From Broadway has shattered box office records worldwide and thrilled audiences of all ages with a mind-blowing spectacular showcasing the jaw-dropping talents of seven of the most incredible illusionists on earth. 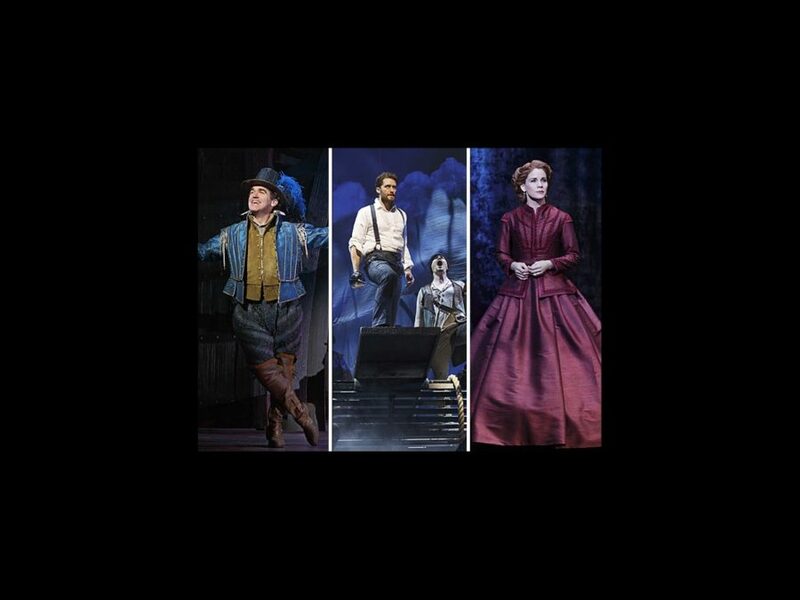 Lincoln Center Theater’s critically-acclaimed production of Rodgers + Hammerstein’s The King and I, directed by Tony Award winner Bartlett Sher, won four 2015 Tony Awards, including Best Revival of a Musical. One of Rodgers + Hammerstein’s finest works, The King and I boasts a score which features such beloved classics as “Getting To Know You,” “I Whistle a Happy Tune,” “Hello Young Lovers,” “Shall We Dance” and “Something Wonderful.” Set in 1860s Bangkok, the musical tells the story of the unconventional and tempestuous relationship that develops between the King of Siam and Anna Leonowens, a British schoolteacher whom the modernist King, in an imperialistic world, brings to Siam to teach his many wives and children. Sher is reunited with the award-winning creative team from South Pacific and The Light in the Piazza. The King and I features sets by Michael Yeargan, costumes by Catherine Zuber, lighting by Donald Holder, sound by Scott Lehrer and choreography by Christopher Gattelli based on the original choreography by Jerome Robbins. Back by popular demand! Variety calls Wicked “…a cultural phenomenon…” and it continues to break box office records across North America. Winner of over 100 international awards, including a Grammy and three Tony Awards, Wicked is “Broadway’s biggest blockbuster” according to The New York Times. Long before that girl from Kansas arrives in Munchkinland, two girls meet in the land of Oz. One—born with emerald green skin—is smart, fiery and misunderstood. The other is beautiful, ambitious and very popular. How these two grow to become the Wicked Witch of the West and Glinda the Good makes for “…the most complete—and completely satisfying—musical in a long time…,” per USA Today. Finding Neverland is Broadway’s biggest new hit and the winner of Broadway.com's Audience Choice Award for Best Musical! Directed by visionary Tony Award winner Diane Paulus, Finding Neverland tells the incredible story behind one of the world's most beloved characters: Peter Pan. Playwright J.M. Barrie struggles to find inspiration until he meets four young brothers and their beautiful widowed mother. Spellbound by the boys’ enchanting make-believe adventures, he sets out to write a play that will astound London theatergoers. With a little bit of pixie dust and a lot of faith, Barrie takes this monumental leap, leaving his old world behind for Neverland where nothing is impossible and the wonder of childhood lasts forever. The magic of Barrie’s classic tale springs spectacularly to life in this heartwarming theatrical event. Finding Neverland is “far and away the best musical of the year!” (NPR).